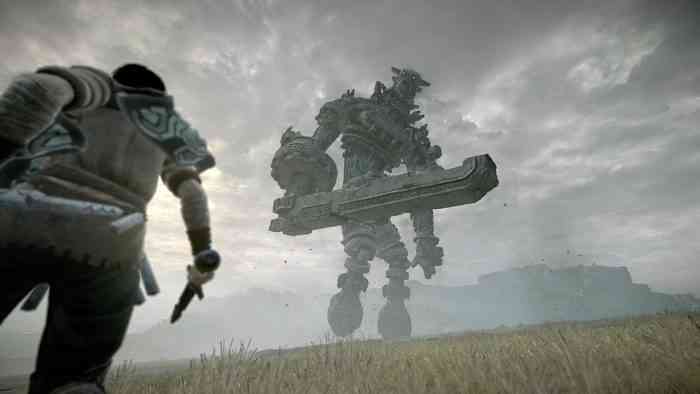 While remakes tend to be popping up in video games and movies as a way to grab some money, anyone who knows about the majesty of Shadow of the Colossus has been teeming with excitement over its re-release. Originally launching back in 2005 on the PS2 and then re-released again on PS3, the question of its appearance on the current gen console wasn’t if it would be good, but how it would look. Shadow of the Colossus met with immediate critical acclaim, so bringing it to current gen standards meant it had to get a graphical overhaul and overhaul it did. The beautiful landscape and gorgeous setting is incredibly enhanced on the PS4 Pro, and the incredibly towering boss battles that comprise the game are even more exhilarating when you see the individual hairs on their bodies sway in the breeze, the very soul of these great beings stare you down through haunting eyes. While we know what to expect when it comes to Shadow of the Colossus, the real question is whether or not bringing it to current day gaming will be just as effective for gamers ten years later. Check out our video review below to see what we think. Shadow of the Colossus is an instant classic among PlayStation gamers, taking a concept as simple as defeating a series of bosses and finding a way to add incredible layers of depth with few words. Players are tasked with taking on sixteen massive creatures named Colossi in an attempt to save the life of Mono, and in the nearly silent adventure you’ll encounter heartbreaking moments of sadness and regret, but continue to strive forward to help your friend. Shadow of the Colossus was a sleeper hit when it first launched, so if you somehow missed the original game in all its glory, now is the perfect time to uncover an emotional epic. Shadow of the Colossus will be available February 6th exclusively on PlayStation 4. For more information, check out the games official website.